I was thinking about the possibility of this the other day..
Not to mention he takes up an all important foreign player spot. He's apparently in Italy not Nigeria. It appears the player & our club are on different wave lengths. WSW CEO's comments on Friday 3/10. He seems to think you're a journo, also there's no direct quote there saying where he is. At least he still loves us! 2all WSW fans club,u re d best av eva seen .thnx u al 4 ur concern & luv u've been showin' 2me.i write dis coz i might nt ans each twitt. Nah, he knows I'm not a journo. He sent me a dm a couple of weeks ago. The paragraph below appears to be part of the journo's preface to the story & appears before the quotes he attributed to our CEO. "Adeleke remains stranded in his native Nigeria as he awaits a clearance from Australian immigration authorities to come to Sydney due to the Ebola outbreak in West Africa." Oh, so if he's not in Nigeria then perhaps the ebola related part was misinformation as well? Is there an issue in Italy with ebola? How long has the lad been trying to get into the country now? Awesome, so the club is lying to us and providing us with incorrect information. lol it reminds of the time they said Shinji was leaving to be with his family and then Shinji was like "they didn't offer me a contract fast enough" or whatever his actual reason was. The story about Shinji and about his third season with the club was a weird one. Shinji wanted a contract but we didn't seem to offer one to him. Then we came out and said "Shinji wants to go back to his family" to which he replied this was not the case. Shinji is too much of a professional to rinse his dirty laundry in public which would come across as sour grapes like a certain other character that left our club. Something tells me that we will never hear what actually happened! Still think it was a case of not being offered a longer contract or the money wasn't on the table or we couldn't get our **** together quick enough (knowing how meticulous pops is I don't think this was the case)! I vote for this to be included within the 'smiley' palette. Megan whilst the information was in the SMH article it was in the jorno's initial few paragraphs & not part of the quotes attributed to John Tsats. I & others could easily have assumed it to be correct. We live & learn when it comes to the MSM. Probably forgot to ask about Seyi's current whereabouts, so just made it up. Looks like Golec and Mullen at right and left back, not bad to be honest. Still looking forward to seeing him play as an attacking left back. Might need to abuse the folk at the immigration department to pull the finger out of their arses. The longer this drags out the more worried I am we're having a Dexter Rosales moment. He seems like someone who would fit our team well. I also think that he is going to turn into an icon for us. However I am frustrated at how long it will take for him to join our team. It will be good to have him and Antony throughout that tough period next year but I don't think he will play until then. Antony Golec better not get injured. Dominic Bossi	Sports reporterThe long wait for Seyi Adeleke to join Western Sydney Wanderers appears to be over, after the Nigerian defender finally received his Australian working visa six weeks after signing for the club. The 22-year-old was in limbo after spending time in Nigeria in recent months which hampered his visa application due to strict Australian immigration quarantine measures relating to the Ebola outbreak in West Africa. Adeleke did not have symptoms of the virus, had not come into contact with the virus and is understood to have been fit and healthy while in Nigeria, but was nevertheless delayed due to the tougher Australian immigration processes. Following medical tests and a lengthy application process, Adeleke is understood to have been granted his visa and will finally be able to join his new teammates. He is expected to arrive early next week after getting the green-light to travel and his Australian work permit. A former Lazio youth player, Adeleke has lived in Italy since 2009, but club sources suggest he recently returned to his native country for a holiday before signing for the Wanderers. While he travelled back to Italy and completed medical tests, he was delayed entering Australia due to travel restrictions in place as a result of the small outbreak in Nigeria. The left-back was confirmed as the Wanderers fifth and final visa-player for this season when he signed on August 22. Seriously, can we welcome this bloke at the airport?... Especially after this ordeal! Would be a nice gesture. Unless work gets in the way, I am happy to turn up. yer same here if its available like to make Seyi welcomed to our club by greeting him at the airport. 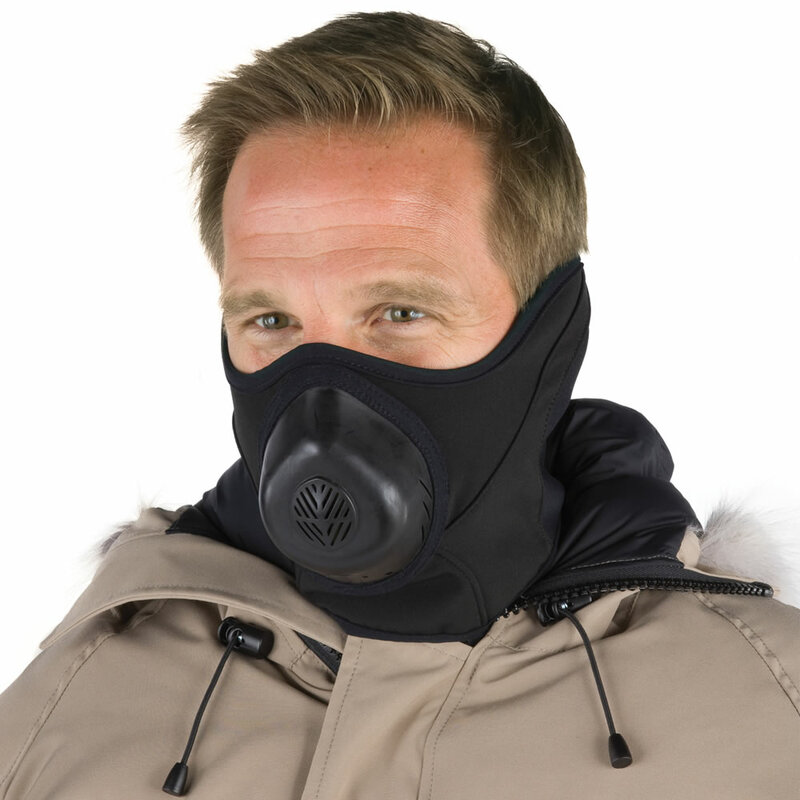 Lets just all wear one of these in case he does have Ebola.